Russley Portables manufacturing, sales and distribution is proudly based in Christchurch, New Zealand. We are part of Hi Tech Building Systems Ltd, one of New Zealand’s most experienced building companies. John Stewart, Managing Director of Hi Tech Building Systems, has worked in the building industry for over 40 years. John continues to demonstrate his ability to meet the challenges and changing demands of an evolving construction industry. Hi Tech Building Systems are members of the Canterbury Master Builders Association. 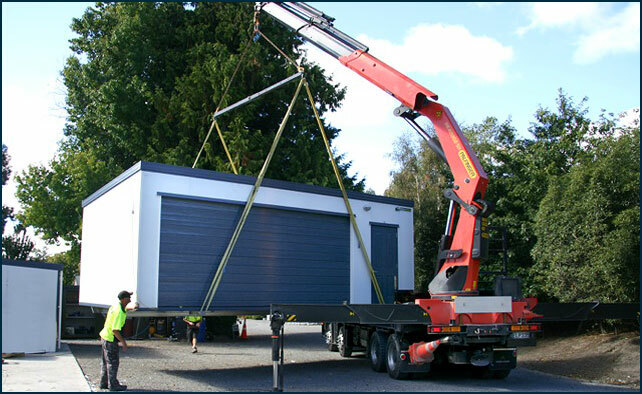 Russley Portables is dedicated to the construction, design and supply of portable buildings, using the knowledge and technology acquired over many years. We are able to provide portable buildings, big or small, built to any specifications. Extremely versatile, and built to full building code standards, they can be used for any purpose, commercial or residential. We are ready to build and deliver Portable Buildings now.